BOCA RATON, Fla., Jan. 10, 2019 /PRNewswire/ -- This January, iPic® members and moviegoers can look forward to elevating their popcorn with Questlove's new line of SNEAKIES popcorn seasonings, developed as part of his Popcorn Collection exclusively for Williams-Sonoma, and are now making their debut at iPic® Theaters around the country. To announce the launch, Questlove filmed an on-site "trailer" for his SNEAKIES at iPic Fulton Market in NYC. The promotional video can be viewed here: https://www.youtube.com/watch?v=LGJjvFbVzr0. "Ever since I can remember, I've loved going to the movies. But what's the movies without popcorn, and what's popcorn without popcorn flavoring?" explains Questlove, who is the drummer and co-founder of The Roots and culinary entrepreneur. Every iPic Premium Plus ticketholder receives a complimentary pillow and blanket along with free popcorn throughout the film – perfect to enjoy the exciting new SNEAKIES from the comfort of their cinema seats, equipped with a 'Ninja' server call button for the ultimate convenience. iPic has previously partnered with national and international celebrities and chefs in special menu features and culinary enhancements including Jet Tila of 'Chopped' and 'Iron Chef America;' 'Top Chef' competitor and World Pizza Championships winner Elizabeth Falkner; Phil Rosenthal of Netflix series 'Somebody Feed Phil;' and Border Grill'sMary Sue Milliken, among others. Established in 2010 and headquartered in Boca Raton, FL, iPic® Entertainment ("iPic or the "Company") (NASDAQ:IPIC) is America's premier luxury restaurant-and-theater brand. A pioneer of the dine-in theater concept, iPic® Entertainment's mission is to provide visionary entertainment escapes, presenting high-quality, chef-driven culinary and mixology in architecturally unique destinations that include premium movie theaters and restaurants. iPic® Theaters offers guests two tiers of luxury leather seating, Premium Chaise lounge and Premium Plus Pod or reclining seating options. iPic® Theaters currently operates 15 locations with 115 screens in Arizona, California, Florida, Illinois, Maryland, New Jersey, New York, Texas, and Washington and new locations planned for Florida, Georgia, Texas, California and Connecticut. For more information, visit www.ipic.com. 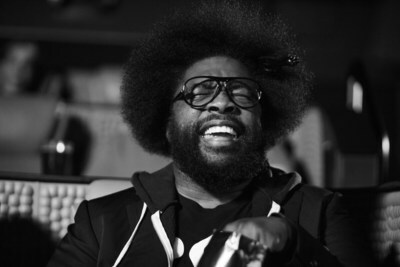 Drummer, DJ, producer, culinary entrepreneur, New York Timesbest-selling author, and member of The Roots - Questlove, is the unmistakable heartbeat of Philadelphia's most influential hip-hop group. He is the Musical Director for The Tonight Show Starring Jimmy Fallon, where his Roots crew serves as house band. The 4-time GRAMMY Award winning musician has landed musical directing positions with everyone from D'Angelo to Eminem to Jay-Z. Questlove has also released four books, including his James Beard Award nominated book Something To Food About: Exploring Creativity with Innovative Chefs and his latest New York Times Best Selling Creative Quest. He is a strategic advisor, and the first artist ambassador for Pandora, and hosts Questlove Supreme. He co-produced the GRAMMY Award-winning Original Broadway Cast Recording of Hamilton. He first designed homewares with a limited-edition run of Lazy Susans sold at Atelier Courbet in NYC. He recently launched CREATIVE HOUSE, a new endeavor to bring new and inspired brands and products to market, in partnership with Adam Sandow. Questlove is a member of the Academy of Motion Picture Arts and Sciences and is on the board of the Food Education Fund at Food & Finance High School, on the Advisory Board of the Museum of Food & Drink (MOFAD), and a member of the Food Council for City Harvest. Questlove is known for his passion for food and the culinary arts through his curated Food Salons, @QuestLovesFood social media platforms, a James Beard Award Nominated book, somethingtofoodabout, and his work with Food & Finance High School and No Kid Hungry. Questlove recently launched a designed collection with William-Sonoma around his love of popcorn.